The Sales and Marketing Council (SMC) of Metro Denver was named the National SMC Council of the Year in 2013, 2014, 2016 and 2017, and a silver medal finalist in 2015. The Sales and Marketing Council is comprised of members in the housing industry whose focus is sales and marketing. The Sales & Marketing Council strives to connect members and provide a forum to exchange ideas, develop professional skills, give recognition and celebrate success within the industry. 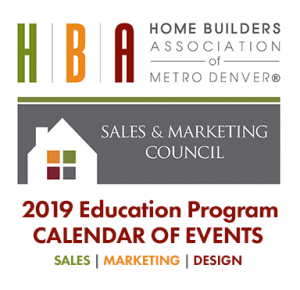 Through innovative educational programs and networking events, the SMC provides valuable tools for sales and marketing professionals, which result in a smarter, stronger homebuilding industry. Why Should I Consider the SMC? As a SMC member, individuals benefit from networking and learning from other professionals through educational courses, technical publications, idea exchange programs and consumer-orientated research. They are also privy to members-only awards and special recognition. SMC recognizes sales and marketing professionals for their service to the industry. Outstanding members are honored for their contributions, performance and leadership at SMC meetings, dinners and at annual awards banquets for achievements in new home sales, marketing, interior merchandising, landscaping, design and much more! Our most recognized events are the annual MAME event and monthly Million Dollar Club sales awards. What is MAME? - The Marketing and Merchandising Excellence (MAME) Awards, honor the top achievers in the new home industry. Awards are comprised on marketing, sales, interior design, architectural and builder awards. 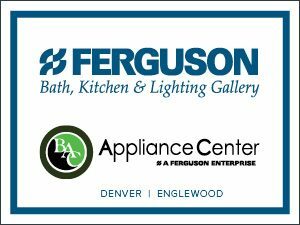 These awards are presented to those who set the standard of excellence in the Denver homebuilding industry. What is the Million Dollar Club? - The Sales and Marketing Council presents the top sales individuals every month with the Million Dollar Club Awards. The winners are honored as the best of the best within the new home construction industry. Contact Philip Eidenshink for more information. Fees vary. SMC membership requires an annual fee of $95.00 per individual. However, that fee may be adjusted based on the number of memberships purchased by a builder or associate member. See entry form and sliding fee schedule.